British Prime Minister Theresa May has said her Brexit plan is the “only serious and credible” proposal on the table, minutes after EU chief Donald Tusk said May’s plan will not work. May says her so-called Chequers plan will guarantee the frictionless movement of goods across borders, and ensure there is no return to a hard frontier between Ireland and Northern Ireland. The plan calls for Britain to remain in the EU’s single market for goods, but not services. The EU says that amounts to cherry-picking benefits of membership, and is unacceptable. May said Britain would make new proposals soon to solve the Irish border problem. Britain is due to leave the EU in six months. 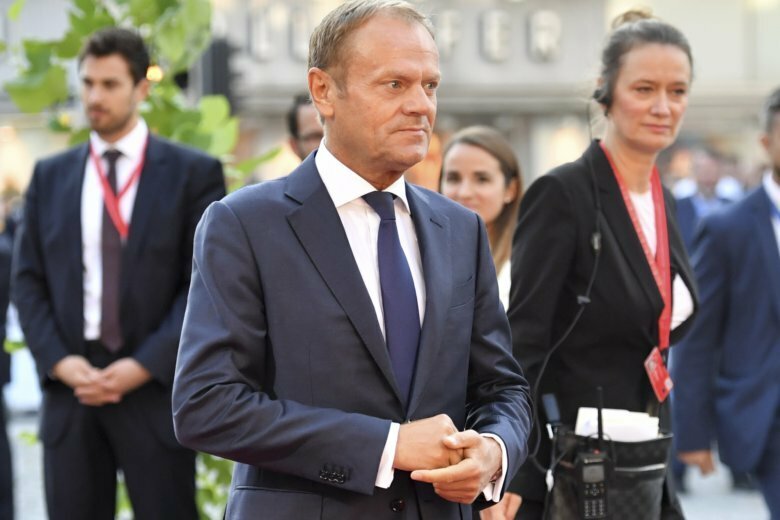 Tusk said Thursday after a two-day summit partly centering on the British divorce talks with the EU that some of the suggestions from Prime Minister Theresa May would undermine the union of the 27 remaining members. May has been looking to keep trade in goods in the single market of the EU after Britain leaves but not for services. The EU has said that the single market cannot be cherry-picked like that. The European Union and Britain are walking a diplomatic tightrope as they attempt to thrash out a divorce deal in time for Britain’s departure from the bloc next March. Even though both sides remain far apart on shape of their future economic relationship and on the border between Ireland and the U.K.’s Northern Ireland, no one sought confrontation. British Prime Minister Theresa May urged flexibility when addressing EU leaders at a dinner Thursday. Both sides have said they want a deal this autumn to allow parliaments to give their approvals in time.